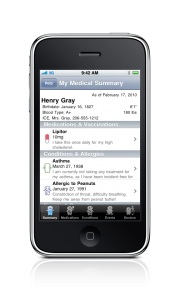 Information at Your Fingertips | ExpressWell, Inc.
Have you had any major medical events? Have you seen other physicians about any of these things? With ExpressWell, you have all the pertinent information at your fingertips. 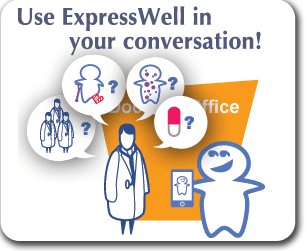 Use ExpressWell to start the conversation; ask your doctor to quickly review your medical summary, as a basic overview of your current medical status. You can then begin the discussion about why you are visiting today, using your summary as context for your discussion. Refer back to ExpressWell to gather more details, like a prescription dosage, or another doctor’s contact information. Update your entries after each doctor visit. Because ExpressWell stays with you, and you’ve kept your entries up-to-date, your information is immediately accessible.